It was one of my favorite days ever! I was in my happy place amongst “my people”. All around me were classic movie fans and folks who could spend the afternoon celebrating the past through the lens of Margaret Leslie Davis who wrote “Bullocks Wilshire”. This one hour illustrated presentation, sponsored by the Art Deco Society of Los Angeles, showed photos of the interior of this department store in all of it’s art deco glory during its heyday of the 1930’s. To see current photos of the restored interior and exterior of the Bullock’s Wilshire building which now houses the Southwestern Law School Library, click here. about a group of women gossiping about other women’s love lives in this all women cast. What made this whole experience even cooler was reliving 1930’s history inside a living preserved piece of glamorous Hollywood at the Grauman’s Egyptian Theatre (1922). This theatre, has landmark status and is now owned and operated by the American Cinematheque. Experiencing the day through my Mom’s eyes made it all the more fun. She saw the movie Ben-Hur (1959) at the Egyptian as a kid and remembered it as being a lot more grand and glamorous. She recalled the interior lobby being more open and spacious with props from the movie on display. But even with all of the changes, it still holds it’s vintage charm especially inside the 616 seat theatre with the original sunburst ceiling that I could just imagine stars like Cary Grant and Judy Garland at a movie premiere gazing up at the same ceiling appreciating it’s detailed artistry. I was in awe of the grander which is the spectacle of the old movie houses. For a complete history of the Egyptian Theatre click here. The day wouldn’t be complete without going out to lunch. Being that it was my mom’s birthday, I really wanted it to be special, so I made reservations at the Pig’n Whistle, Hollywood CA. This historic 1920’s pub was built before concession stands were the norm like inside theaters today. Stars like Shirley Temple, Barbara Stanwyck and Clark Gable would visit the Pig’n Whistle for their favorite drink and meal before or after a movie premiere. It was indeed a favorite spot of the Stars among many eateries along Hollywood Blvd. For a list of the stars favorite drinks click here. At the end of the day, what I really wish for is to relieve history, step back in time, feel if just for a moment, what it was like during that time in history. That’s what I will be doing in this blog. 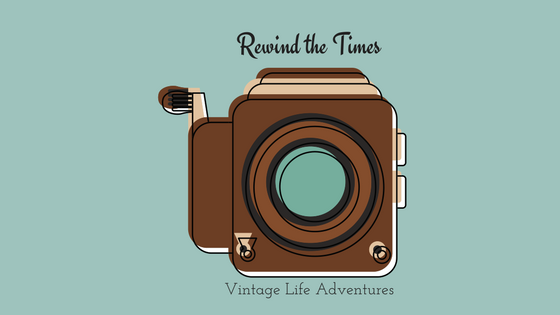 I will be rewinding time and exploring history through the lens of classic movies, historic places and interesting people that influenced and inspired generations before us and hopefully people today. I could just enjoy this time travel by myself or bring my family and friends along for the ride and keep our jewels of discovery to ourselves, but I know there are folks out there who cherish the past as much as I do and this blog only adds to our internet library of vintage life. So, off we go into the past. May it never be forgotten or overlooked when we walk by an old building, see a black and white film on TV, or read a story from history. Let it captivate and inspire us to live in the present with an utterly joyous appreciation for the beauty of the past. I love this….reading this message was like reliving the day all over again. Wonder day with my beautiful daughter!